Decorating the Christmas tree is definitely a favorite activity of the holiday season. 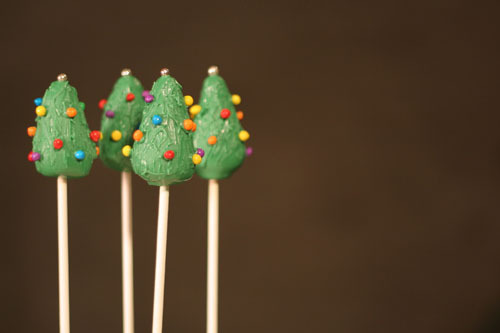 These little Cake Pop trees were just as fun to decorate! They would be perfect for your holiday parties or to bring as a hostess gift. 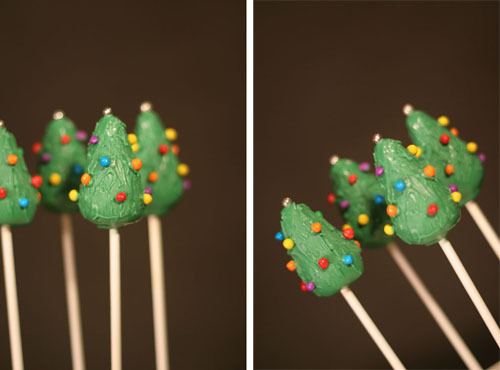 This entry was posted on Tuesday, November 30th, 2010 at 10:43 pm	and is filed under Holiday Pops, Recent Creations.